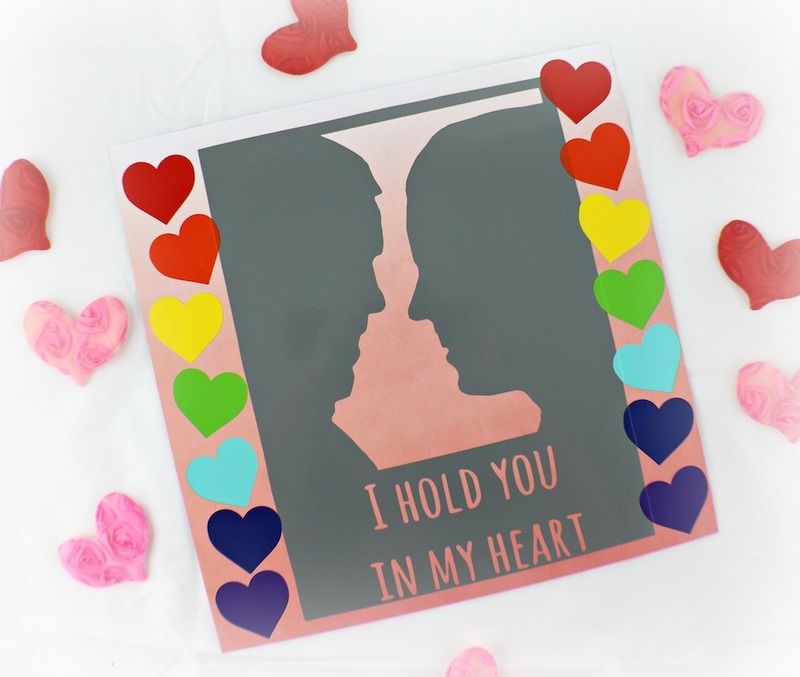 Make a vinyl silhouette scrapbook page to uniquely capture a favorite memory. This is a sponsored post. One of the drawbacks to cutting your own designs for layouts is keeping all the pieces together. For example, the little circle in the middle of the “o” has to be added by itself. My solution to this problem? Use vinyl! 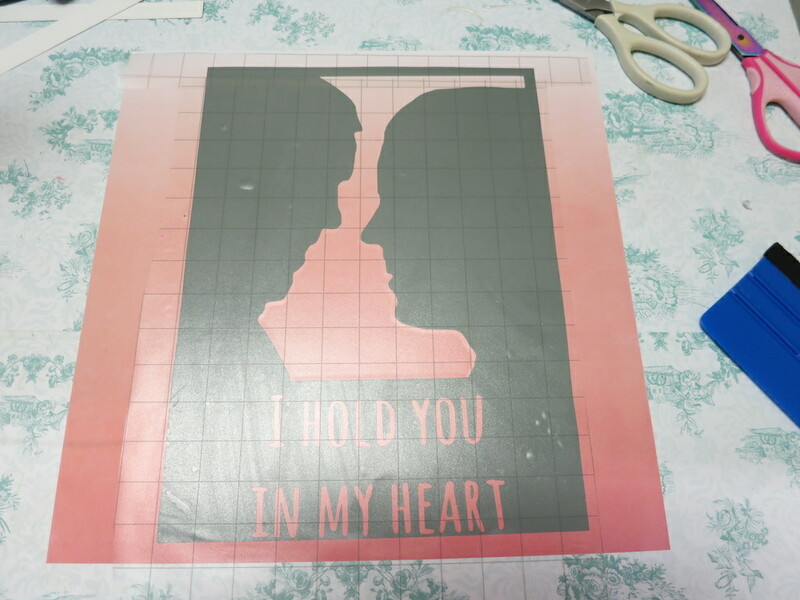 I can make detailed cuts to my heart’s content and not lose a single detail when I transfer the vinyl to the paper. My friend Amy was kind enough to let me use one of her favorite pictures to create this layout. 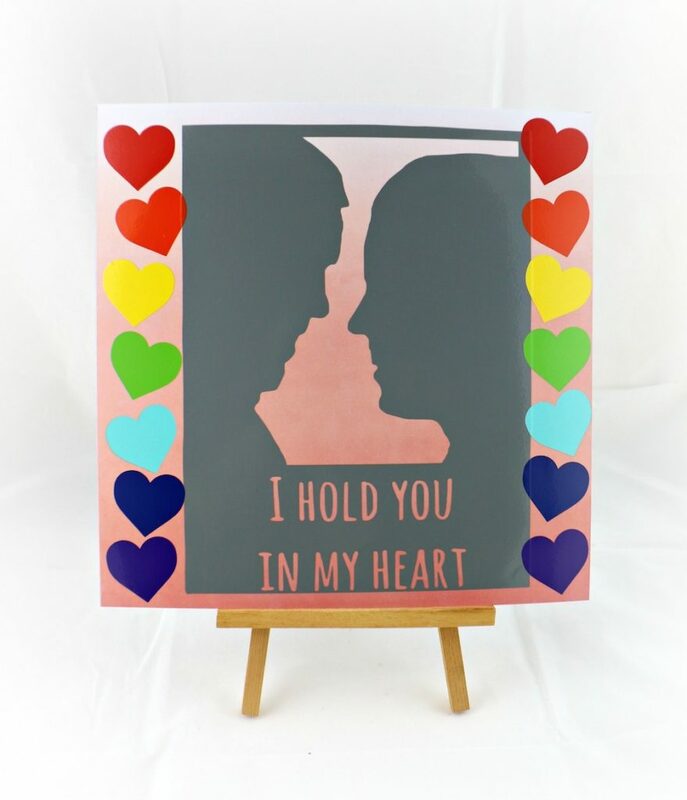 I’m going to show you how I turned the photo into a silhouette image so I could create this lovely layout. The first thing I had to do was remove the background from the photo. I like to use PhotoScissors.com because it is free and easy to use. Once I had removed the background I saved my new image. I imported the image to PicMonkey and turned the shadows all the way up. Now I have a classic silhouette image. I added a frame around it with text on the bottom of the frame. 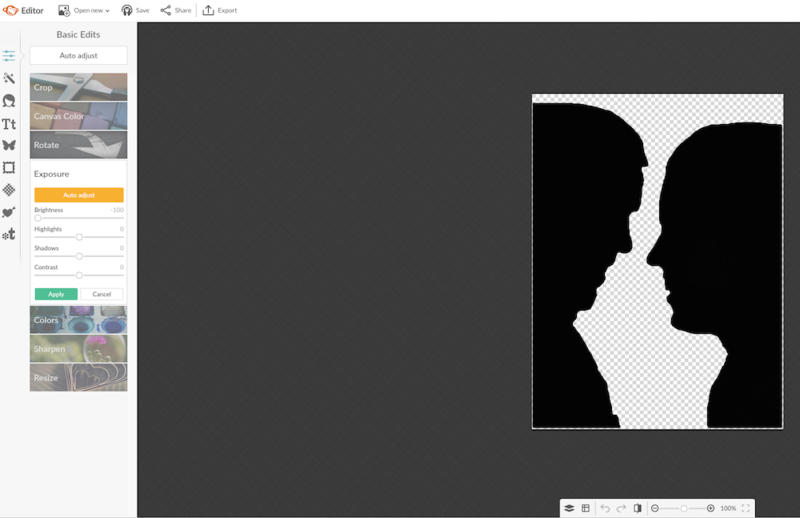 Then I moved to Silhouette Studio to create my cut file. 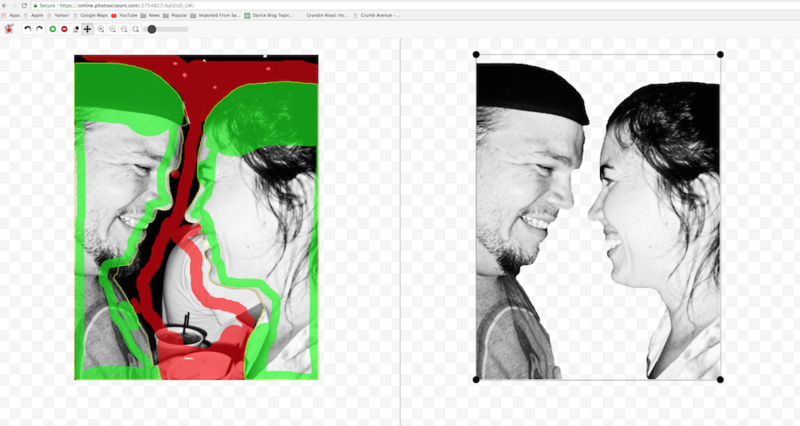 Import the image, then select the trace area. Once I had my cut lines drawn, I started designing the rest of the layout. I wanted to keep the layout clean and simple, so I simply added hearts to the sides. 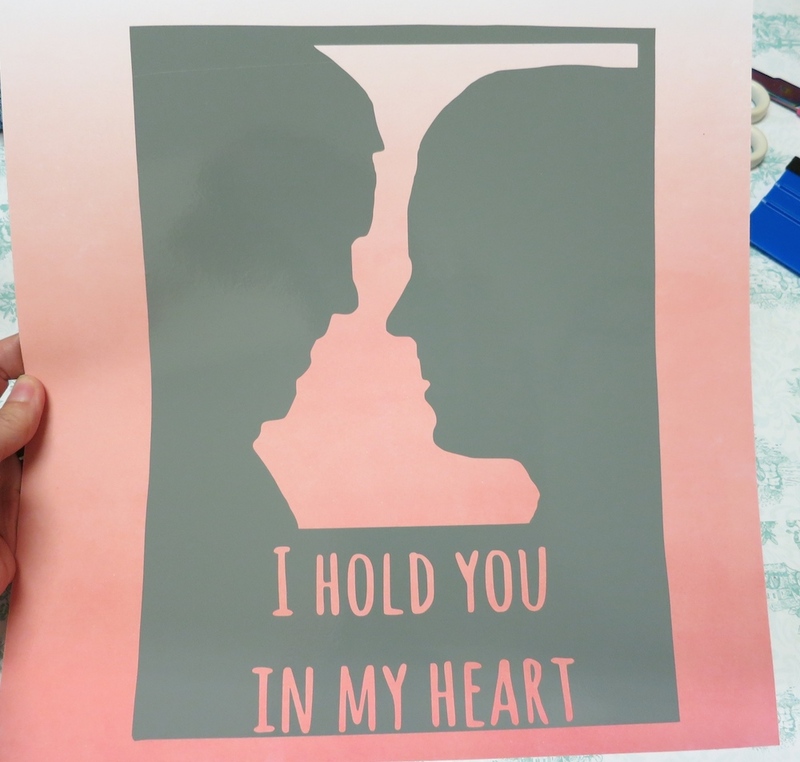 First I cut the main image out using Glossy Vinyl in a pretty gray shade. I like the way this looks next to the pink paper. 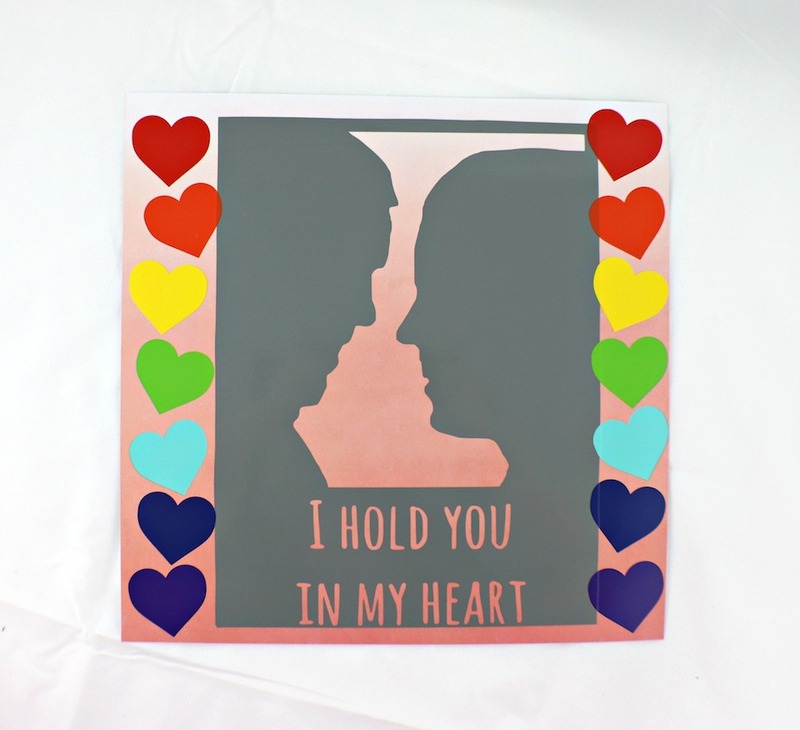 Then I cut the hearts out from rainbow colors. Use transfer tape to lift the vinyl off the backing. 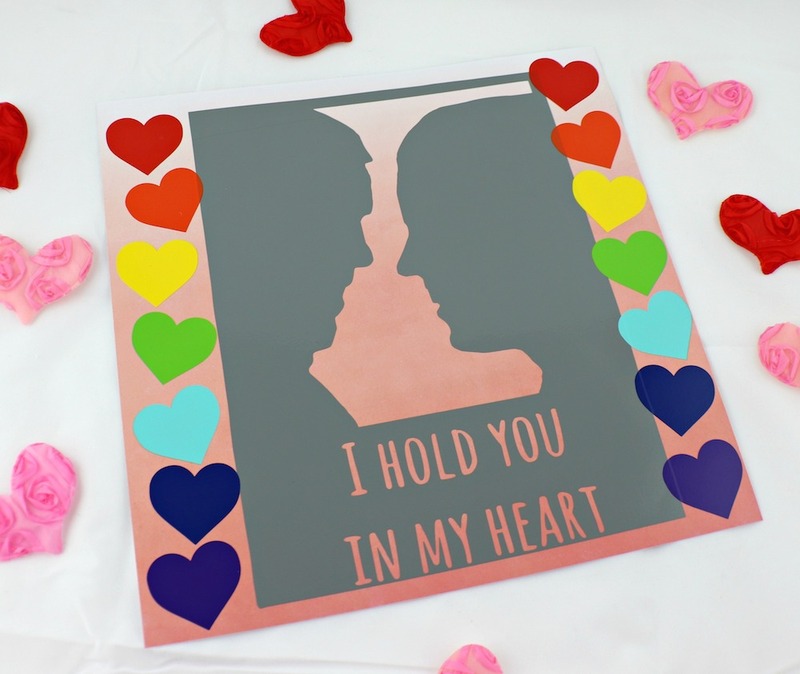 Transfer the vinyl to the cardstock. I love it already! 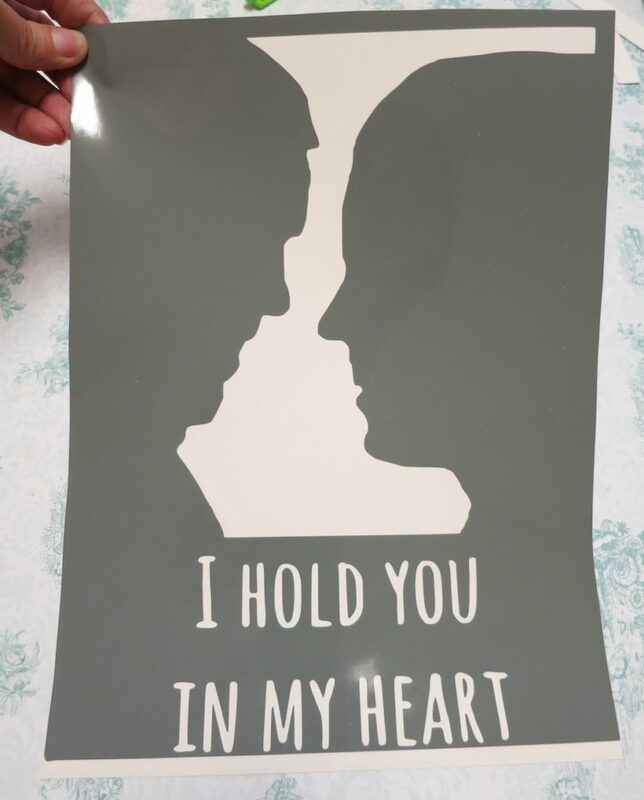 The vinyl silhouette is so simple and beautiful. 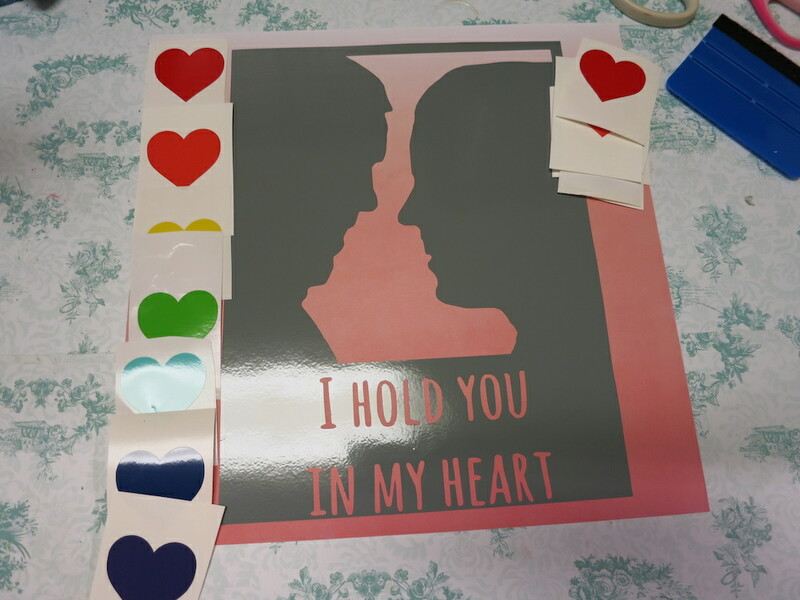 How cute are all these heart stickers I cut from the Glossy Vinyl? Rainbows always come after the rain, so I chose these colors as a reminder that no matter what happens, love lives on in our hearts, like a rainbow after the storm. 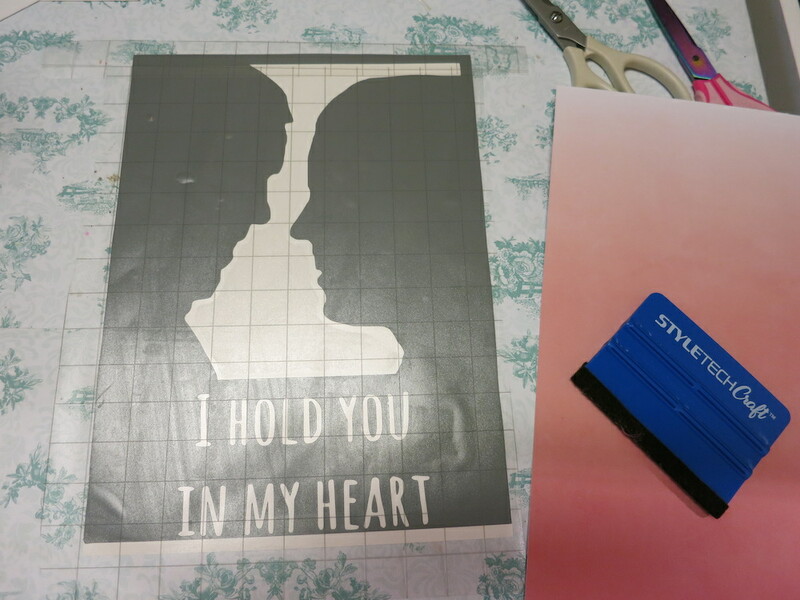 I look forward to doing more papercrafts and scrapbooking with vinyl. It’s so fun to create your own stickers and designs! 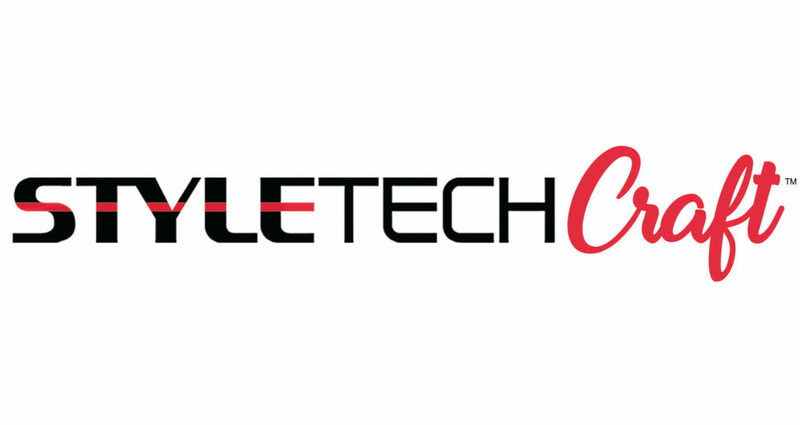 I am a design team member for SyleTechCraft and this is a sponsored post. This is really cool. I love how you turned the photo into a silhouette for the page. It looks like such a fun technique. I think I need to try that! Thanks! I’m excited to do this with more photos!